Fernanda Valdovinos is an Assistant Professor in the department of Ecology and Evolutionary Biology and Complex Systems. She received her Ph.D. in Ecology and Evolutionary Biology from the Faculty of Science, University of Chile in 2008. Before joining the University of Michigan, she was a researcher in the Estación Biológica de Doñana, Spain, at the Pacific Ecoinformatics and Computational Lab in Berkeley, CA and at the department of Ecology and Evolutionary Biology at the University of Arizona. 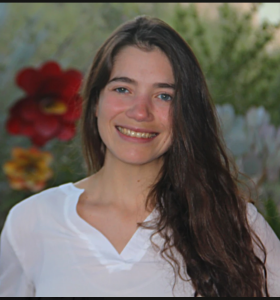 Her lab studies the structure and dynamics of ecological networks at ecological and evolutionary scales; including their resilience to biodiversity loss, biological invasions, climate change, and exploitation by humans. She is a principal investigator in MICDE Catalyst Grant: “Embedded Machine Learning Systems To Sense and Understand Pollinator Behavior”.